Day Two of our Machu Picchu tour began at the unearthly time of 5am. Without a guide to tell us what time to be there we had decided to take the advice of numerous friends and guide books, which was to catch the first bus of the day and get there before the day-trippers from Cusco arrive at around 10am. We got out of the hostel to discover that it was pouring with rain. This is depressing enough anyway but as we have had very little rain on our trip around South America we were sad that it happened on our Machu Picchu day. Not to be deterred however, we bought a subtle forest green plastic poncho from a woman sitting miserably in the rain and headed to the bus. Our timing was perfect, the bus was there and we were practically the last people to get on it before it left. Buses leave from Aguas Calientes every 10 minutes from 5.30am until 1.30pm, shuttling tourists up the steep mountainside to the Inca ruins. Just outside the entrance we paid 5 soles to store our daypacks in a luggage storage area, only to discover moments later that if we had waited to get past the gates we could have stored them in a more secure-looking storage area for only 3 soles. To get into Machu Picchu you have to show your ticket and your passport—another fact that our tour operator had neglected to mention—so I had to go back to my day pack to get mine out, all the time being thankful that I hadn’t left my daypack back in the hostel at the bottom of the mountain. Once inside the park, the rain continued to fall and, not surprisingly, we were far from the only people getting to Machu Picchu early to avoid the crowds. Large tour groups, all kitted out in the brightest shade of Day-Glo ponchos possible, crowded the narrow paths in front of us. We looked for an English-speaking tour group following a guide with a red-flag, just in case by pure chance our group was meeting at this time, but we couldn’t see one. It looked like we would be doing our tour alone. Despite the rain and the low-hanging clouds obscuring much of the view, the first sighting of the famous terraces and walls of Machu Picchu is truly unreal. The rain even added extra mystery and atmosphere to the ruined walls, which lay shrouded amongst mist and clouds. It is impossible to believe that a city can cling so tightly to the steep inclines of the conical mountain. It is always a strange experience to stand somewhere so widely photographed and famous but Machu Picchu does not disappoint. Even when surrounded by so many other tourists, it is easy to imagine the ruins at the height of their prominence, and to feel great sadness for the decline of this once mighty Empire. Not much is known about Machu Picchu, many experts believe that is was built by a proud people in the face of defeat at the hands of the Spanish in order to leave a lasting legacy. If this is true, then they succeeded in their mission. 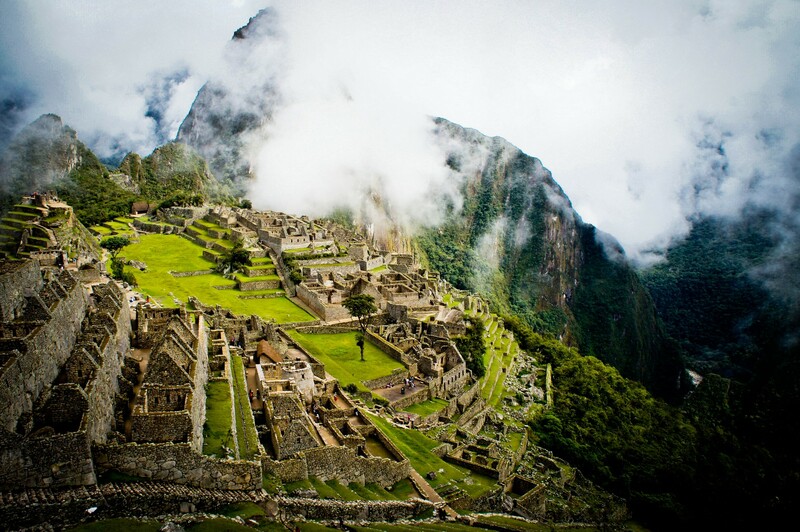 Machu Picchu is an exquisite example of fine craftsmanship and architecture. 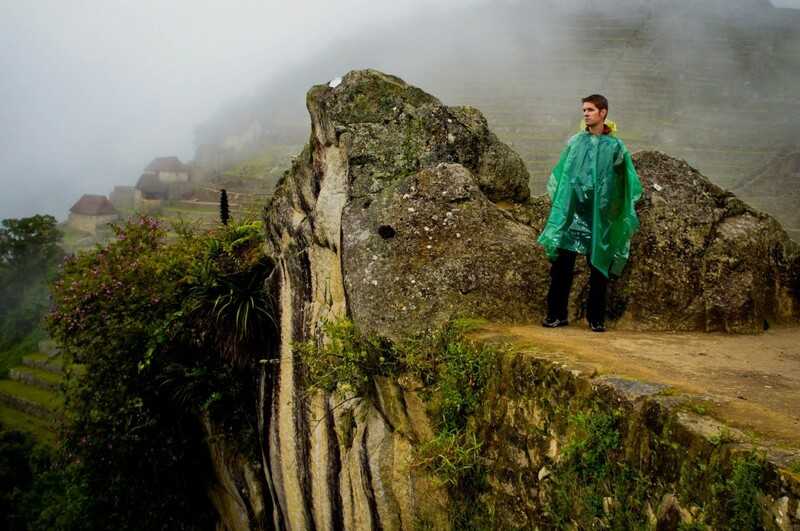 The terraces were used to cultivate grains and flowers, and the Incas even had an effective irrigation system as well as methods to source their own water supply from the constant rains. It would have been nice to have a guide to explain things in more detail but as the rain continued to pour heavily, we were grateful about being able to walk around and shelter at leisure. Disappointingly, when we arrived at the entrance to Waynu Picchu, the mountain that overlooks the Machu Picchu site, we were told we couldn’t get a ticket to climb it as they are only issued from the bottom of the mountain. Something that we would have been aware of had our guide turned up the night before. Although we were annoyed by this it may have been for the best as the rain made conditions very slippery. We spent a few hours at the site and were happy when the rain stopped and the clouds parted for long enough to take a few decent photographs. When the clouds once again began to cover the mountainside and the hoardes of day-trippers started to pour in, we decided that we should head back to Aguas Calientes where we were hoping to trade in our 7pm train ticket for an earlier one. At the train station we were successful in trading our ticket for a train that would leave at 1.37; all we had to do was pay the difference of $24. This turned out to be a good decision; Aguas Calientes does not have much to offer, other than over-priced pizzas and drinks deals that are more expensive than buying the drinks individually. The restaurants also do not know how to make a strawberry milkshake—even when they say they do. Many of them also advertise Free WiFi but do not actually have it. We were relieved when it was time to get on the train. On the train we discovered another lie of our tour operator who had told us that we would not miss out by taking the train at night, but the scenery is totally spectacular all the way from Aguas Calientes to Ollantaytambo. 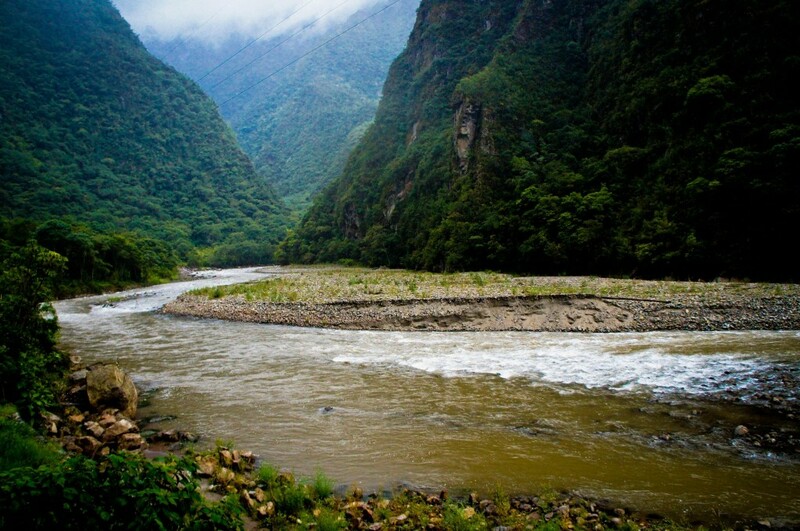 The train follows the river through a deep gorge carved between towering mountains covered in dense foliage. Inca-style terraces and remains are evident sporadically on the mountainsides throughout the whole journey. Not only this, but the train was more spacious, more comfortable and even had onboard Peruvian entertainment. I am still angry that our tour operator lied and denied us this experience just to make a sale. 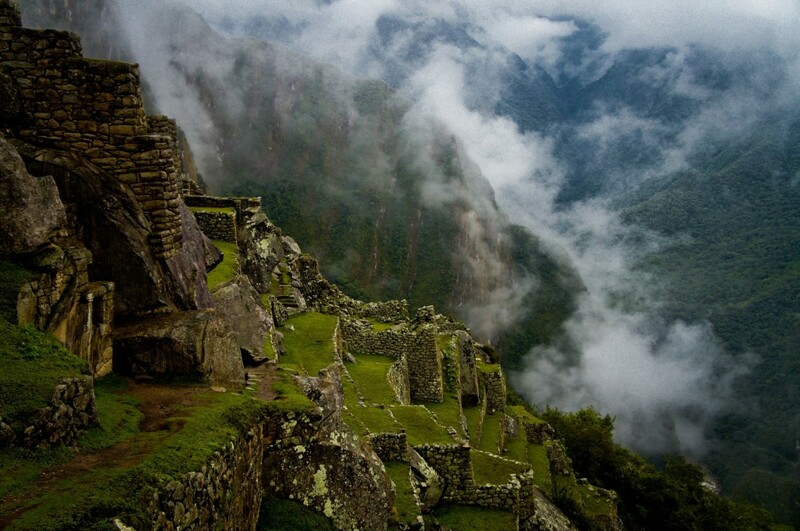 At least Machu Picchu is spectacular enough alone to make up for the shortcomings of our tour operator. Although Chaska Tours had booked us on a bus back to Cusco from Ollantaytambo, we had not been given any tickets (maybe the absent guide should have given them to us) and we had lost faith in the company so we decided to take a taxi from Ollantaytambo to Cusco. The Lonely Planet informed us that this would cost us 120 soles, so when the first taxi driver offered to take us for 80 we jumped at it. The journey took about 2 hours and we arrived back in Cusco by 5pm, almost 6 hours earlier than the tour would have returned us. Don’t take the cheapest tour. In South America you get what you pay for. Nice write-up, good supporting photos. Like the story as you don’t try to “dress up” the experience. This place is on my “must see” list, so your advice on how to get there and back and the little tips (like secure storage for your backpack) is much appreciated. Thanks very much for your compliment! Great recap of your adventures exploring MP – truly a place I’m dying to re-visit. Thanks for the comment. I would love to visit Machu Picchu again; next time I will walk the Inca Trail and climb Waynu Picchu. That last point about NOT booking online because you can’t choose your seat… I SO agree. I was on the side of the train opposite of what I would have liked. Huge bummer because the scenery was amazing. 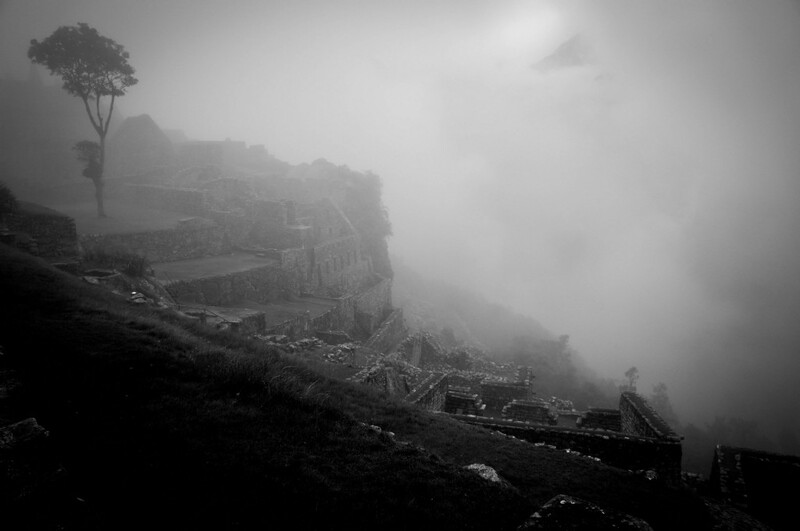 Like you, I also saw Machu Picchu on a cloudy, rainy day. But it was wonderful nonetheless! Definitely want to go back! 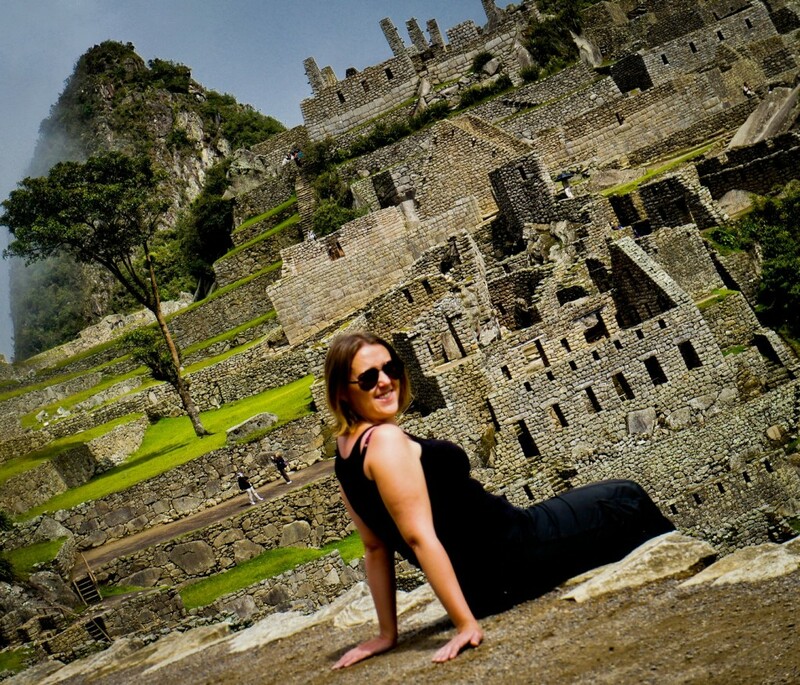 Enjoyed reading this post…Machu Picchu is top of my list to visit, can’t wait to go there!